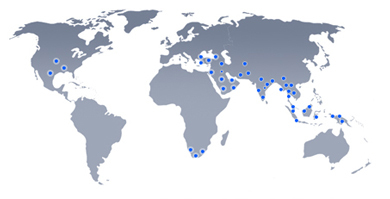 The ISC family is a multi-product, multi-location, diversified operations business. The version is reflected in the logo which depicts the world held by GD.These two alphabets mean GLOBAL DISTRICT and it is our mission t transcend geographical boundaries and treat the world as a global district. It is our endeavor to manufacture and trade and reach the farcorners of the globe - by adding value to the ISC brand. This helps us to innovate and improve our services in delighting the stake holder’s customers, suppliers, employees, share holders and associates. The model, type and kind of application determines magnet construction. Major components consist of coil,inner pole,outer pole,coil guard plate,terminal box and suspension chains. The body is of steel to IS 4491 or fabricated as per the duty and use of operating conditions. The coil bumper plate is made of manganese steel or stainless steel. The coil is wound with aluminium or copper according to the model or customer specification. The flexible lead-in wire negotiates changes in coil size caused by temperature fluctuations. The double or triple chamber terminal box provides complete water protection. This detailed construction helps ISC Electro-magnets offer a high degree of mechanical and electrical reliability.